Given the growth of the technology sector in Britain in recent years (Tech City reckons the UK Technology scene has grown ten-fold since 2010, securing, by way of example, $1.6billion of venture capital funding in the first nine months of 2015 alone, eclipsing previous VC investment levels) this is hardly a surprising development, but is it a worthwhile investment for our schools? I can't see how it can't be. the estimated turnover of UK digital tech industries reached £161bn in 2014. The digital tech industries are credited with creating employment opportunities and accounting for approx 1.56M jobs across the UK at the time of writing. London is a major hub for big data. There are an estimated 54,000 big data workers within 25 miles of London, compared to 57,000 for New York City and 98,000 for San Francisco/Silicon Valley. I think the UK kids of today should get the [Micro] Bit between their teeth. 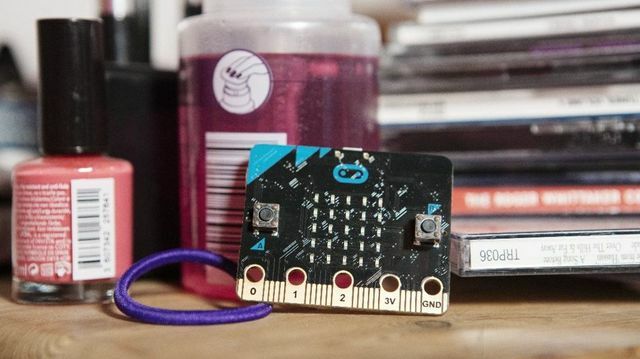 The BBC Micro Bit, the tiny computing device designed to get children coding, is going on sale to the general public.The device is already being delivered, free, to one million Year 7 children in schools across the UK.Now it will also be available to buy from the various partners in the project for £12.99.Commercial availability of the Micro Bit follows the signing of a licensing deal with the device's manufacturer, the Leeds-based company, element 14.The firm says it will only sell them in batches of 90.But retailers including Microsoft, the Technology Will Save Us organisation and Sciencescope will offer individual devices.